If you are located in a different time zone please visit our Event Time Announcer page on TimeandDate.com to see what time it starts in your time zone. 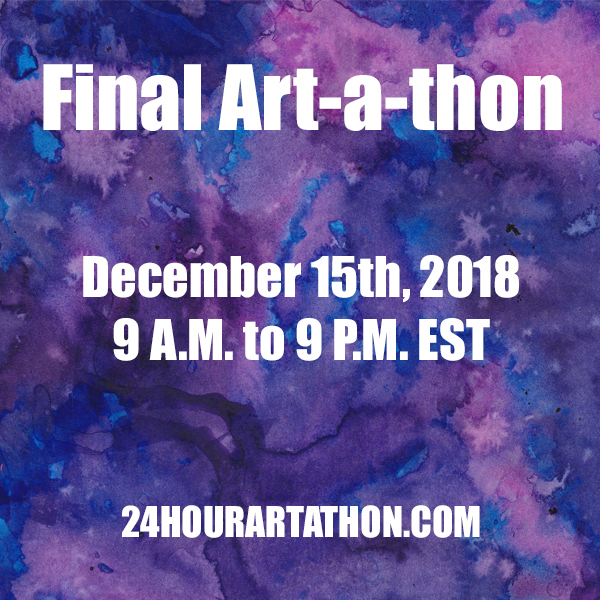 If you still can’t locate your start time go to the Time Zone Converter and enter the art-a-thon date and time. For location click on the Time Zone button. Select EST – Eastern Standard Time (North America) and then select New York. Under “select places to convert to” enter your information. Then click the Convert Time button to get your start time. If you can’t start at 8 A.M. EST you can start when its more convenient for you.